Nahid Navab is a painter, printmaker and book artist. Born and raised in Iran, she moved to the United States in 1983. She Navab received a BFA, with a major in painting, and an MFA in printmaking from George Mason University. A seasoned world traveler, she has participated in national and international workshops with masters of fine art, in Europe and America. Her works have been presented in local, national and international galleries in China, Hong Kong, Iran, and Turkey. The major influences on Navab’s art are Persian calligraphy and miniature painting, global mythological stories and contemporary urban life. Her art reflects her interest in global unity, women’s issues and freedom of expression. Visual art is my key to the door of unknown places. Living in exile, art came to my life as a healer. Belonging to both East and West, in a world full of conflict, art is my personal, social and political refuge. It is the place that I can hear my voice. It is a bridge to reach others and for others to connect with me. Working with different media I found printmaking to be an expressive and strong tool, an advocator and a recorder. While my heart and soul belongs to printmaking, I also enjoy working with drawing, calligraphy, painting, photography, bookmaking and installation art. I trace my memories in layers of lines, forms and calligraphy-coded drawings to search for hidden meanings. I hope that my unconscious feelings might find their way out. Since 2013, the themes that I have selected have empowered me to explore unfamiliar media and presentation styles. This process has transpired in an ambiguous yet serene way. The layers I add to each piece narrate my life stories. 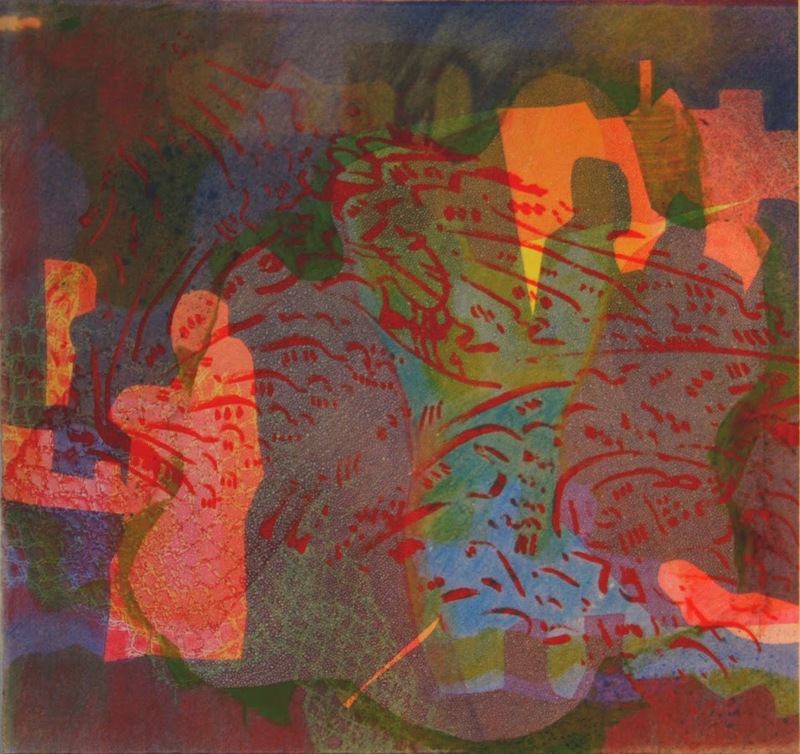 Nahid Navab resides with her family in Fairfax, VA. She is member of NOVA printmaking, Lee Art Center, Pyramid Atlantic, and George Mason Print Guild. She actively participates in group shows and with local art centers. She produces work in her own home-based studio.